So you met somebody on the Internet, and maybe you haven't met him in person yet, but he's totally legit. Sure, your model boyfriend is totally your soulmate and yes, you sent him money, but he'll totally pay you back when he gets back from his six-month family vacation in Peru. If this sounds like you, you clearly haven't been watching enough of the first season of Catfish. But you'll be able to catch up come June 25, when Season 2 of Catfish premieres on MTV. But before you watch the trailer for the new season — see it embedded below — we'll debrief you on what Season 1 taught us. Thanks to Catfish, here are six things we learned about your love life. You'll Find Out That You Have Haters You Never Knew About! A guy catfishing you because he was insecure about his appearance? Kind of endearing. Unfortunately, many catfishing tales aren't based on adorable things like shyness and painful and debilitating insecurities. In case you're not being catfished by a really short guy who is afraid that you'll never break your (really pretty arbitrary) “I-don't-date-guys-who-are-shorter-than-me” rule that you still have listed on your Facebook page, your catfish is probably a casual acquaintance who hates you based solely on the fact that you made out with her ex-boyfriend six or seven years back. You've been warned. Since Nev was being catfished long before it became a verb, he knows that no Skype means that your love is definitely not who they say they are. But it's fantastic trying to get an explanation out of the love-struck participants. Nev is nodding but it's a nod filled with unabashed judgement. Here's how this will go down: You, Nev, and Max/the camera will walk up to your catfish's house. It will be in the middle of nowhere. It will probably have broken down children's toys in the front yard. It's the kind of house your car would break down in front of in a horror movie. If this hasn't already given you the hint that it's probably best to drop out now, you should really be more observant. Your catfish will never open the front door. Perhaps it's about the suspense. Perhaps it's easier to wallow in self-loathing by talking the longer route through the backyard. Either way, look to the side-yard for your Internet beau to appear. Sure, your catfish problems are important, but really they're just a vehicle for Max and Nev to hang out and show us just how true love can really be. I refuse to believe the lies that these two could be anything less than 100 percent in love with one another. Everyone on the Internet thinks so. And if the Internet isn't an honest place, what is? Don't have enough trust issues yet? 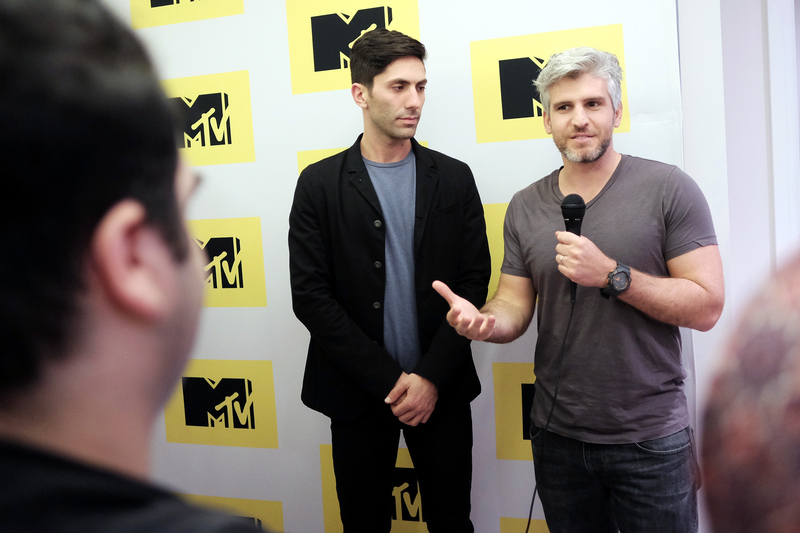 Check out the premiere of Season 2 of Catfish on June 25.